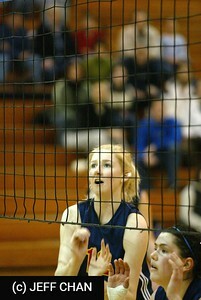 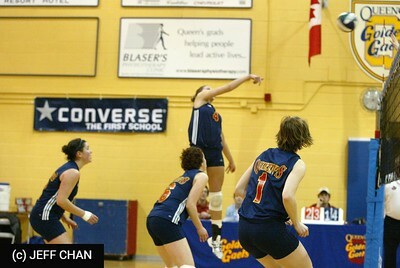 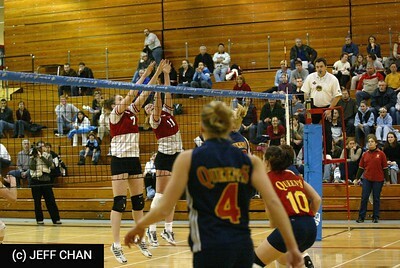 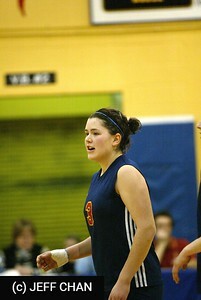 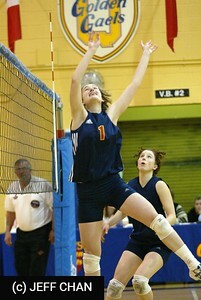 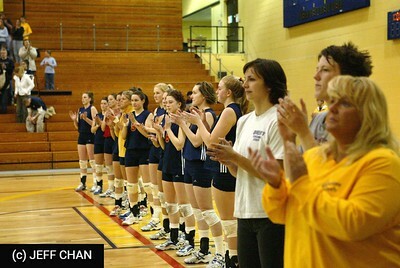 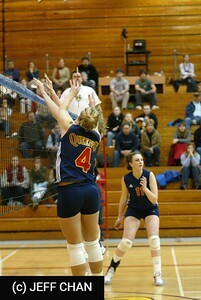 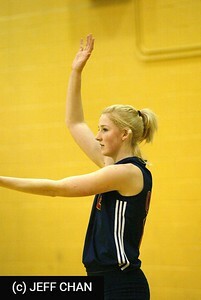 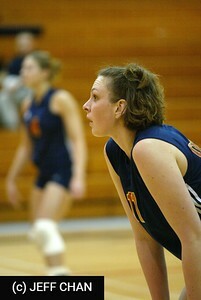 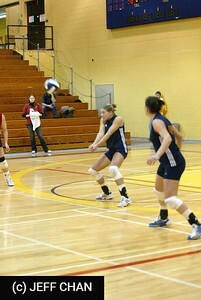 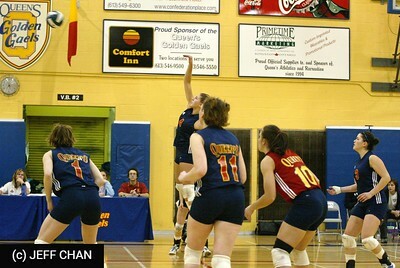 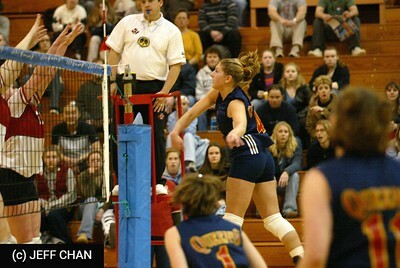 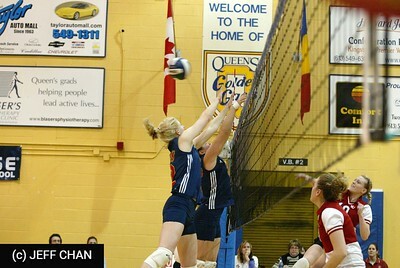 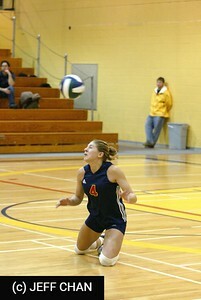 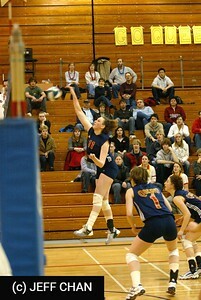 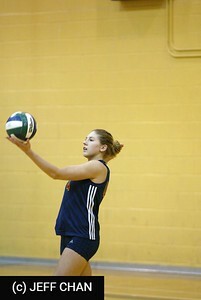 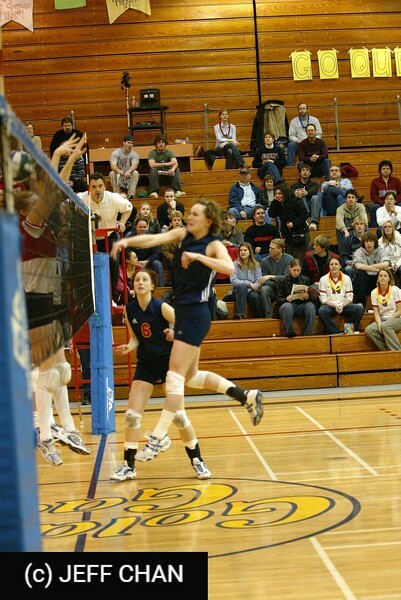 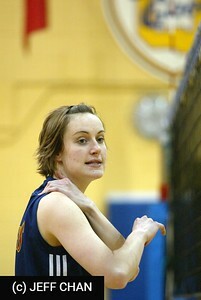 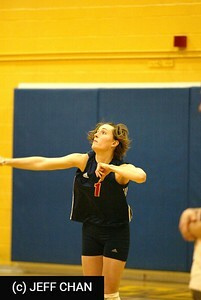 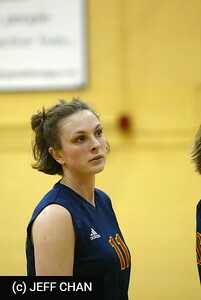 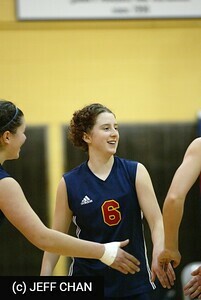 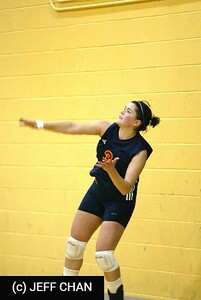 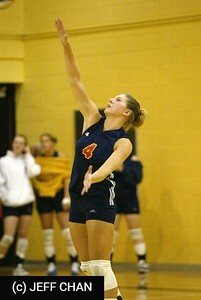 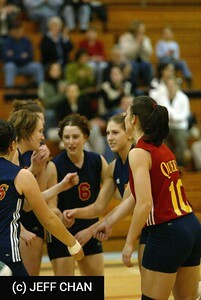 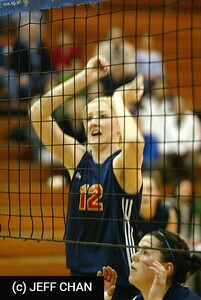 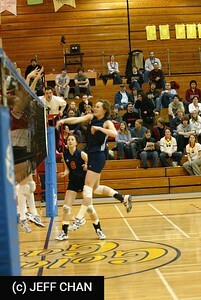 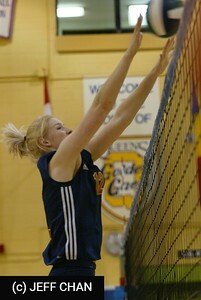 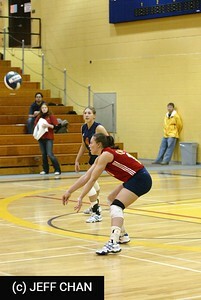 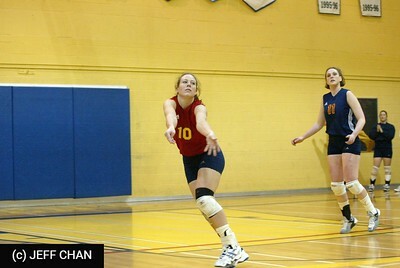 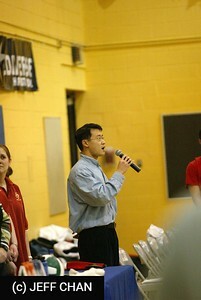 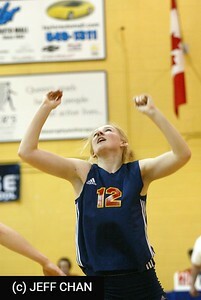 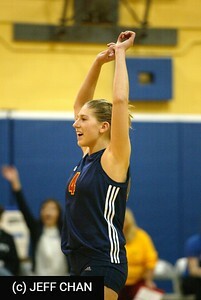 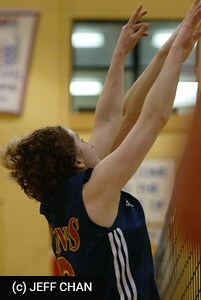 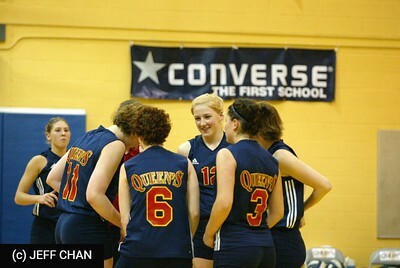 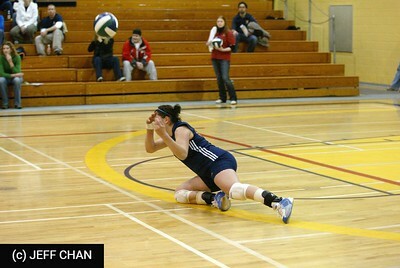 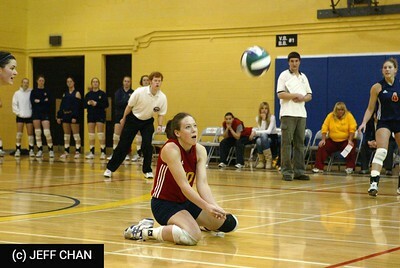 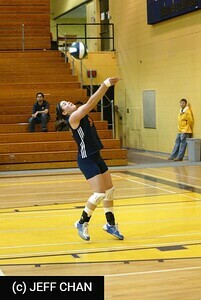 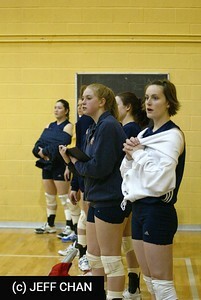 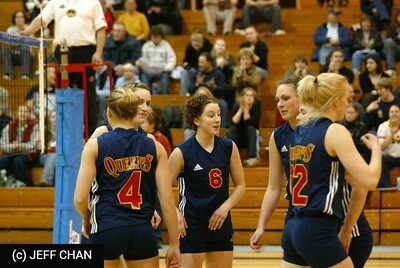 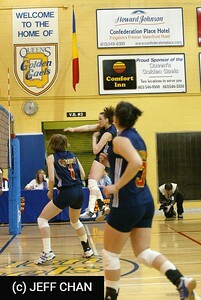 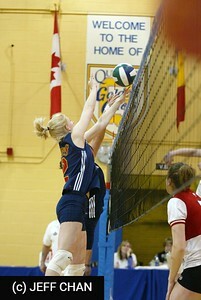 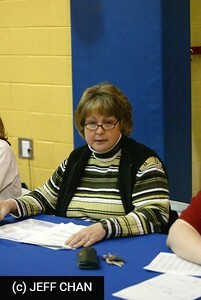 Photos of the Queen's University Golden Gaels Women's Volleyball team vs. the York University Lions at the P.E.C., Queen's University on February 21, 2004. 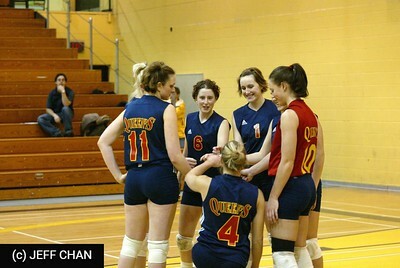 Aftewr smoking the Lions 25-14 and 25-16 in the first two games of the OUA quarter-finals, the Gaels lost two close ones 22-25 and 20-25. 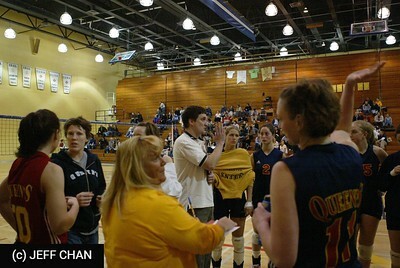 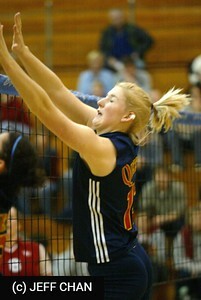 Then with everything on the line, the Gaels prevailed 15-10 to take the match and move onto the semis.